Kevin Mercer, St Vincent de Paul Society’s new chief executive officer in Queensland, can’t wait to “get out into the field”. Source: The Catholic Leader. Mr Mercer will succeed Peter Maher, who is retiring. Mr Mercer said that once he had become familiar with the organisation of the society he was keen on “getting out into the field and meeting the people, the members and the Vincentians in the field who were doing the works, and really getting engaged in the diocesan areas and the regions within St Vincent de Paul and engaging with them and understanding their communities and their community needs”. 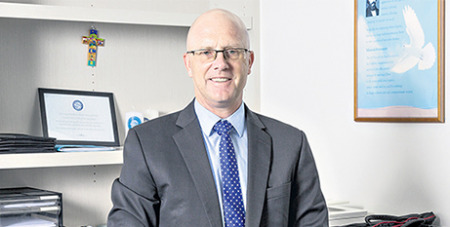 Mr Mercer was chief executive officer at Holy Spirit Care Services for seven years and then spent two-and-a-half years in Melbourne with Mercy Health, heading their aged care and community care services.